National Teen Author and Anti Bullying Advocate Robyn Gordon wrote her first book titled Stop Bullying at age 11. 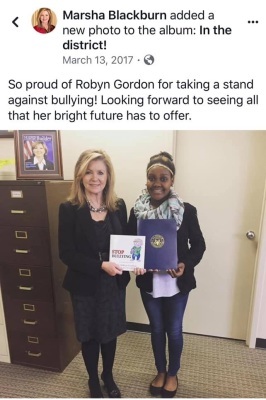 Today, Robyn is a vibrant 15-year-old student who loves to encourage her peers and make a difference when it comes to ridding the world of bullying. 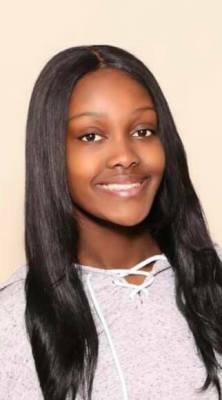 She is the CEO of Next Generation Dance Team, Clarksville, TN. 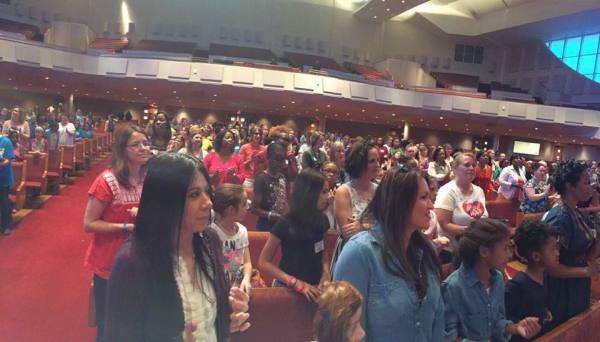 Robyn is a Motivational Speaker, Worship Leader, and Recording Artist using her gifts to inspire the world. 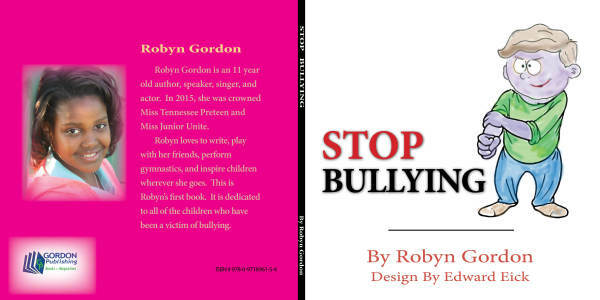 Robyn has had several TV and Radio show interviews and since first releasing her book, has spoken to more than 15,000 youth and adults about her Anti-Bullying Campaign. 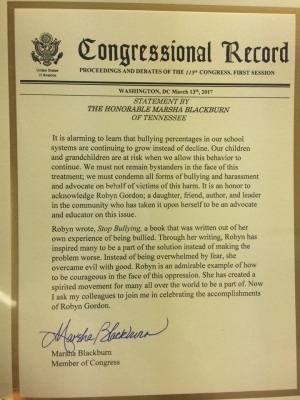 In 2017, Robyn first introduced her Stop Bullying 10-Day Course Curriculum that is appropriate for Elementary School Teachers suitable for school-age children. 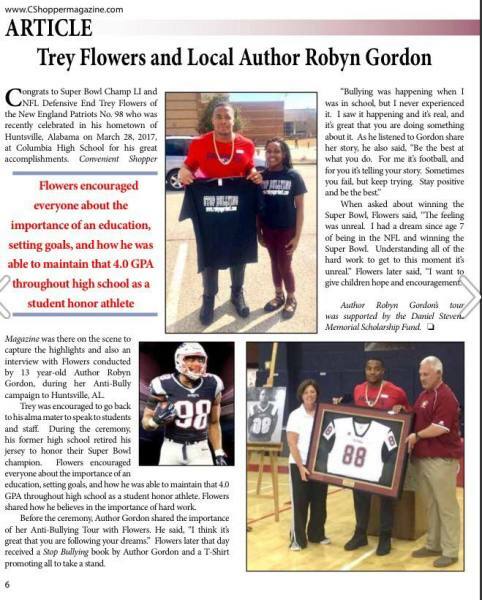 She has shared her book and story with NFL Defensive End New England Patriots Trey Flowers, U.S. Senator Marsha Blackburn, Dr. Bobby Jones, Kirk Franklin and more. The Garrison Commander will read a proclamation declaring April as the Month of the Military Child. 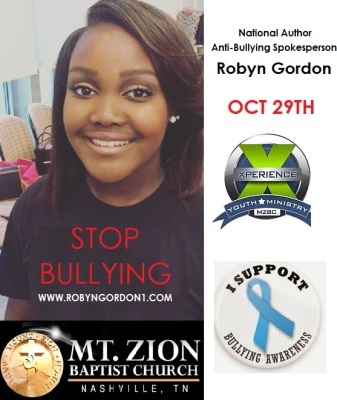 Robyn will discuss her anti-bullying book and deliver a message to the military youth about bullying. 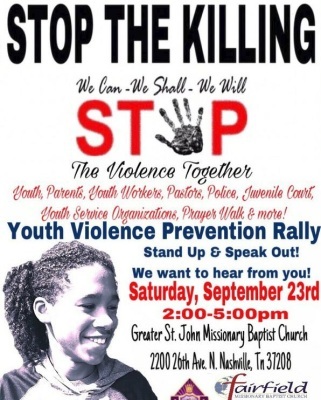 Operation Megaphone Lock-in on to speak to Middle School and High School youth. Robyn will be present at the Kidsfest the following day. 10am-2pm, selling and signing her books. 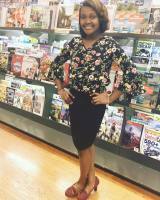 Today, Author Robyn Gordon is 15 years old from Clarksville, TN. 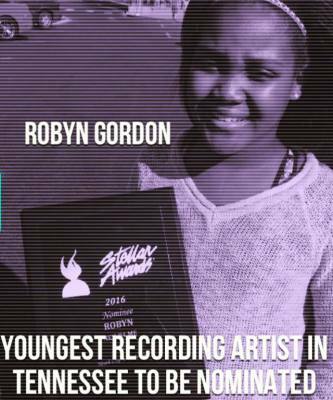 Robyn also is passionate about singing and loves music. She is a talented singer and songwriter, making melodies since the age of 4. 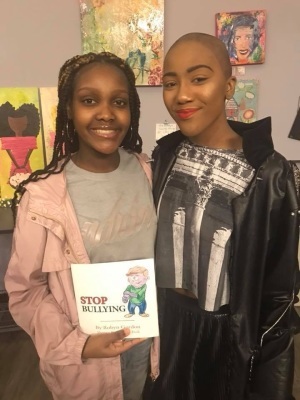 She is also the author of the book Stop Bullying published by Gordon Publishing; she was at the age of 11 when she first published the book. Her second book Kindness will be released later this year. Robyn is no stranger to interviews for radio and television. She also has worked as an assistant producer and actress in several stage plays. 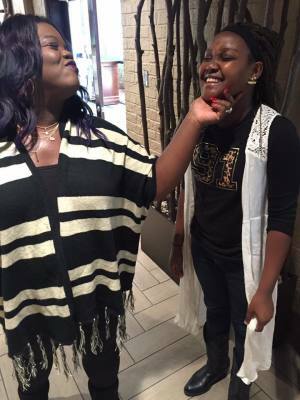 Robyn enjoys spending time with her family and friends. She is an athlete for her high school and as a freshman is on the track and volleyball team. Robyn is the former Miss Junior UNITE USA 2016, the 2015 Miss Tennessee Preteen, and the former Miss Junior Black Clarksville 2014. She has been blessed in the world of pageantry and loves to compete. She is supported by her parents and her two brothers and is a member of her family’s church Mile High. Her father is the pastor. Robyn enjoys spending time with family and friends. 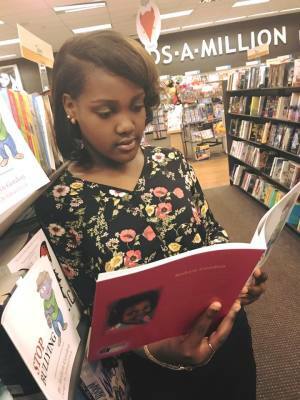 She aspires to become a doctor and has plans for several books to be published in the coming years. 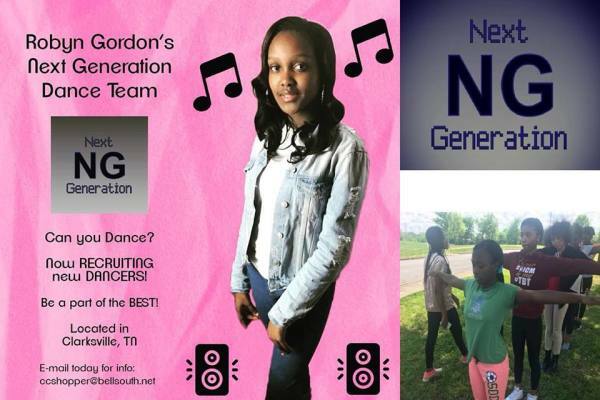 Robyn Gordon's Next Generation Dance Team is by youth for youth who love to dance between the ages of 8-16. 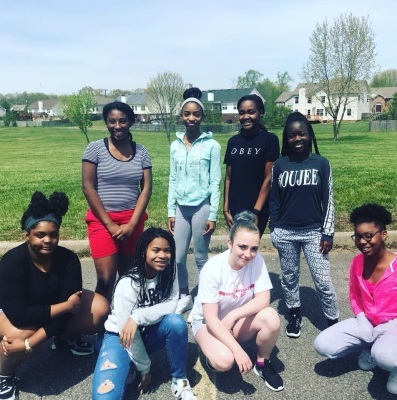 First founded by Robyn Gordon at the age 14 in 2018. Now CASTING!!! To find out more click on the button BELOW to CONTACT Robyn about Next Generation today. ​Click on the book image below to directly purchase on Amazon. Thank You! Stop Bullying Book Click on the book image below to directly purchase book on Amazon. 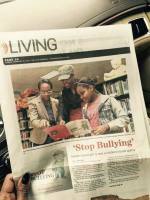 Stop Bullying Course Curriculum - Contact us! Stop Bullying T-Shirt - $20 plus $3 shipping -Contact us!